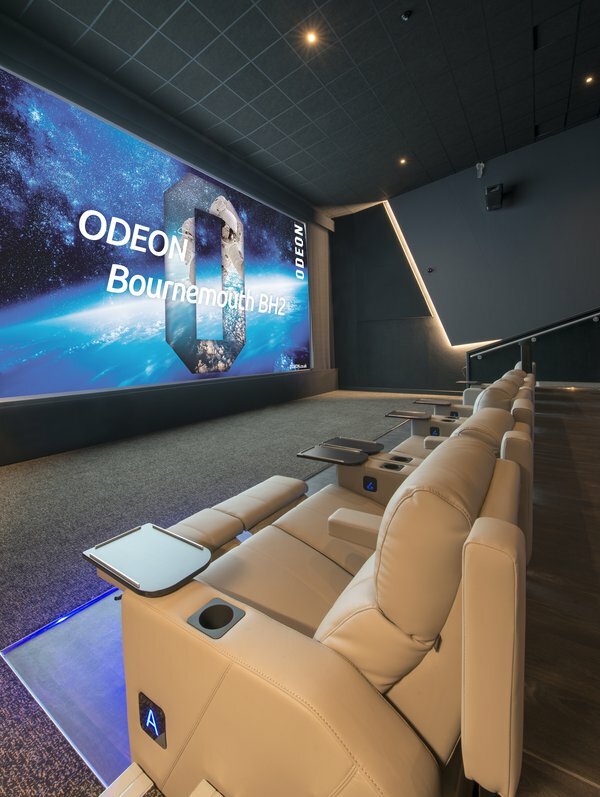 The highly anticipated, 10-screen state of the art flagship ODEON cinema at the brand new BH2 Leisure complex is now open to the public, following an exclusive gala night on Thursday 9th February. Guests from around the country attended the anticipated gala evening and enjoyed the chance to explore the new cinema for the first time, ahead of opening. The guests were also treated to exclusive screenings of the latest must see films The LEGO Batman Movie and Hidden Figures ahead of their release. The new flagship cinema will give guests the opportunity to dine on a premium food selection in the upstairs bar area and relax in indulgent reclining chairs in 8 of the 10 screens. The new ISENSE screen offers the ultimate immersive film experience for guests, with 4K digital projectors and a Dolby Atmos sound system that uses 56 top spec speakers, each individually controlled to draw guests into the heart of the action. ODEON Silver Cinema – A series of film screenings for guests who are over-55 with tickets from £3* each including tea, coffee and biscuits before the film. ODEON Kids – Special screenings every Saturday, every Sunday and every day when school’s out with tickets just £2.50 each for kids and adults alike. ODEON Newbies – Designed only for parents and guardians and their babies these screenings feature softer volume, ever-so-slightly brighter lights and no worries about disturbing other guests. The ODEON cinema on Westover Road has now closed its doors, with a final screening of La La Land. It closed its doors to the public on Thursday 9th to allow the team to get ready for the grand opening at BH2 the next day. Notes to editors: If you would like to pull through ODEON film listings to your website please contact a member of the Liz Lean team for more information on a live feed. ISENSE: State-of-the-art 4K digital projectors deliver almost 9m pixels, four times the resolution of a standard screen, so your film is brighter, clearer and alive with detail. Cutting-edge Dolby Atmos sound systems and luxurious seating for a truly immersive cinema experience. Kids Screen: ODEON Kids Screen is just like a normal screen but with one big, exciting difference, it has a fun and comfortable seating area at the front of the screen for the little ones. Let them laugh, gasp and cheer their way through the film all from the comfort of seats designed especially for them. Bargain Monday: *Price applies to standard 2D tickets for Monday film screenings at ODEON Bournemouth. Bargain Monday does not apply to special screenings, events and Bank Holidays. Additional upgrade costs apply to other film formats and seat types. Blockbuster priced films will incur an additional premium to the quoted price. This will be £1 per person or as otherwise advised at time of booking. For more details please ask a member of staff in cinema or visit www.odeon.co.uk.